Jersey Shore Boca U18 member Jack Facemyer was honored today by the Asbury Park Press for his outstanding academic achievements while in high school. 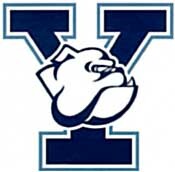 Facemyer, who is a two-year member of the Boca Super Y-League teams, will continue his soccer and academic careers at Yale University in the fall. Welcome to the third annual Asbury Park Press Academic Leader special section. This section was begun specifically to honor the academic achievements of high school seniors in Monmouth and Ocean counties, although the students here also have shown dedication to their communities, the arts and athletics. The following criteria for naming the Academic Leaders were established by the Press with input for area educators and after reviewing other recognition programs. The Press congratulates all the Academic Leaders chosen this year. And many thanks to the principals, guidance counselors and students who were so helpful in providing this information to us. “Jack always has been an integral part of our total school program and is highly respected by both the faculty and his peers.” – Thomas Procopio, principal Pinelands Regional High School.